» 12 Proven Foods That Fight Depression: They Help Overcoming It Naturally. 12 Proven Foods That Fight Depression: They Help Overcoming It Naturally. Mental health is one of the topics people often forget or do not pay attention to. But it is one of the most important aspects of everyday life. If there is an imbalance in our mental health, several symptoms or diseases may appear. ​One of the most common and increasing consequences among Americans is depression. According to the World Health Organization, in 2014, 15.7 million adults over 18 years had at least one depressive episode. That is, in general, represents 6.7% of all U.S adults. This is definitely a high percentage considering that this disorder can be preventable and treated. That without considering the percentage of Americans affected that don’t go to the doctor or ask for help for several reasons like fear or ignorance. Depression is a mood disorder or state that makes the person feel sad and lacking interest in everyday situations. 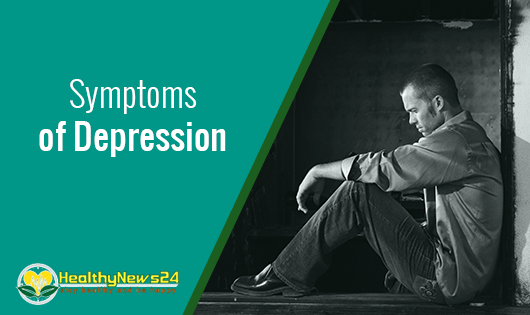 The most common symptoms are feeling constantly sad, anxious, empty, angry, guilty, worthless, have digestive problems, insomnia or excessive sleeping, fatigue, loss of appetite or overeating, which in the long term can affect certain relationships because a person with depression distances themselves from the society to feel more comfortable. Normal life stages can cause depression, like childbirth and menopause because they create a hormonal imbalance that makes the body go crazy and lose control. Finally, the ones most overlooked are from nutritional deficiencies and infectious diseases. ​A person with depression will not feel the joy of living and can sometimes not even know they have it. The reality is that without treatment or a change in diet, depression will not disappear and will keep making damage to the whole body. If you have several symptoms and you don't have a disease or have something that might be related, it is possible that you have depression or early symptoms of it. It is important that you seek your doctor for diagnosis and treatment. But there is a way you can heal yourself. ​The most important thing our body uses as fuel is food. So it can also help your body prevent or reverse conditions like depression. ​Food is the most powerful healing tool that people have forgotten. It is amazingly great because you can control the way you eat and the nutrients from them will heal your body. 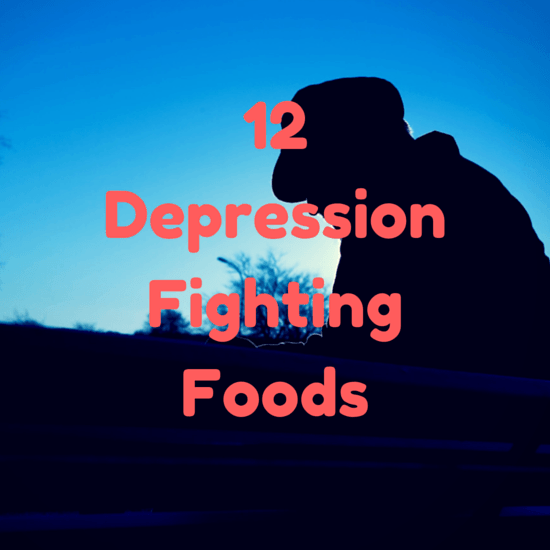 Here is a list of the top 12 foods that fight depression: These foods can help you treating depression naturally. 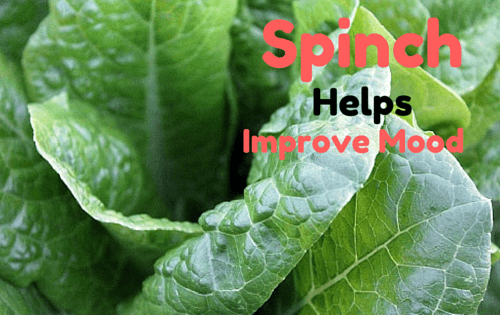 #1 Spinach can help you overcoming depression. Spinach and all types of dark leafy greens like kale and Swiss chard are the most nutrient-dense foods in our diet. Those nutrients help the immune system and help fight inflammation. It is important to know that the brain inflammation may be related to depression, so eating spinach daily helps your healing. They also contain many vitamins like A, E, C, K, minerals and antioxidants that help the body achieve equilibrium. 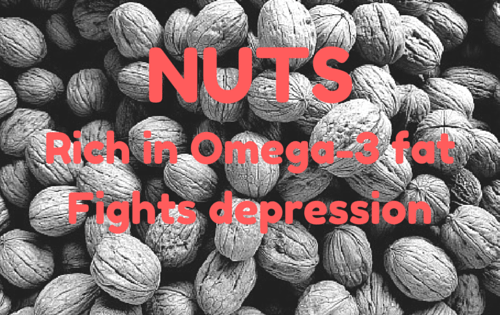 #2 Nuts (walnuts, cashews) support brain functions and fight depression. Nuts are a great source of omega-3 fatty acids that support brain functions and help increase memory. Nuts have high levels of zinc that help the body stay in equilibrium, especially because recent trials have found that a lack of zinc is linked to a greater risk of depression. They help reduce inflammation and reduce the risk of depression. The right portion of your favorite nuts is a handful with no added salt. #3 Chocolate can boost your mood. It is no wonder how eating chocolate always makes you happy. Besides the amazing taste, the chocolate has powerful antioxidant properties that are linked to boosting your mood. The Chocolate produces serotonin, a neurotransmitter in charge of mood boosting and happiness, which a lack of it can cause depression. In this case, the darker and less sugary the chocolate, the most nutrients and benefits you will get. Find a chocolate that has at least 60% cacao and eat one small square a day. 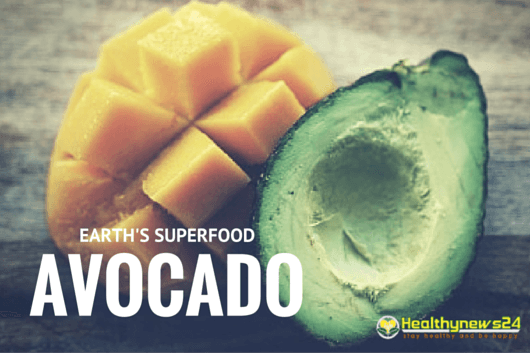 #4 Avocado is one of the best foods to help with depression. Besides its great taste, an avocado contains 900 mcg of folate per cup which is 22% of your daily folate requirements. Folate or vitamin B9 helps the brain be stronger and get more energy. Avocado also contains vitamin K and fiber so its benefits help maintain the body in equilibrium leading to more happiness. Avocado can be consumed in infinite ways, you can make a guacamole, add them to your salad, make a dressing or even a vegan pie. #5 Chickpeas helps you reduce depression symptoms. The most important nutrient found in chickpeas is vitamin B6. It is essential in regulating the brain function causing a balance of the emotions and reducing possible depression symptoms. A high vitamin B6 diet helps treat depression, treat anemia and immune diseases. Chickpeas are delicious, add them to a veggie soup as protein or use them in your salads for a more hearty taste. #6 Seeds are rich in folate and magnesium, the depression reducing agents. The ones included are pumpkin seeds, sesame seeds, sunflower or flax seeds. They contain high amounts of folate and magnesium. You can add them to your salad, eat them as a snack or eat them raw. Try to make sure the seeds are not full of salt or sugar to boost their benefits. 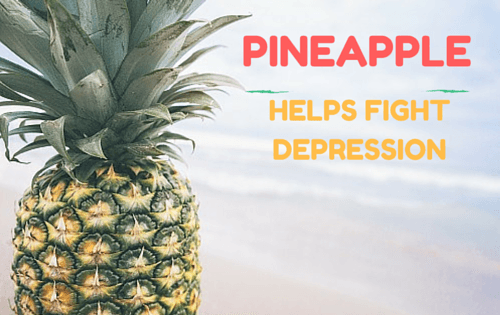 #7 Pineapple is a natural drug to fight depression. This juicy and delicious fruit not only helps in digestion and blood purification but also in 2010 a Medical Indian Journal published that pineapple has the same antidepressant effects as drugs like fluoxetine and imipramine ( a common treatment for depression). ​Furthermore, they found that pineapple juice inhibited the monoamine oxidase enzyme, which contributes to developing depression. So not only the pineapple is as great as the common drugs to treat depression but also it can block certain enzymes that progress the disorder. #8 Whole grains are nutrient dense foods. They contain chromium, a mineral found in small amounts in the body, which help in the food metabolism. When a person has chromium deficiency. The body loses the ability to regulate insulin. And this causes sugar spikes throughout the day that makes your mood go from happy to sad in one minute. #9 Pistachios helps in reducing stress. They are rich in magnesium, which is a powerful anti-stress nutrient, and they are easy to mix in your diet. In a recent article from the Medical Hypothesis, the magnesium was found to give a rapid recovery from major depression. This is because a magnesium deficiency is linked to various mental health conditions. The right portion of pistachios is from ¼ to ½ a cup to get the daily nutrients you need and not overeat. #10 Bananas are responsible for stimulating the happy hormone. A banana a day makes depression go away! According to a recent investigation by MIND, people who eat a banana daily feel happier than those who do not. This is because bananas have tryptophan. Tryptophan is a substance that our body converts to serotonin, and as we mentioned serotonin is the happy hormone that battles depression. 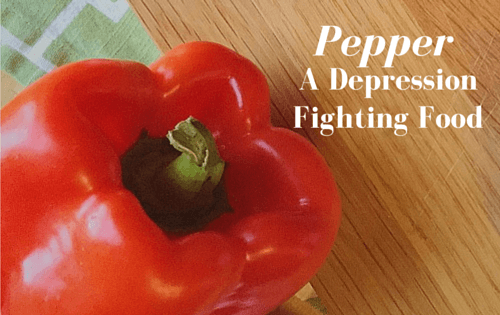 #11 Pepper helps fight anger and depression. The substance in charge of getting the miraculous effect of peppers is capsaicin, which fights frustration, anger, and depression. Capsaicin is found in spicy foods, especially in pepper. It sends a pain-like signal that makes the brain release endorphins that improve your mood and happiness. You can consume bell peppers in a salad or cooked, incorporate jalapeño, serrano or habanero pepper in a salsa or dish you like. #12 Legumes are rich in brain-boosting vitamins. Eating more legumes like l﻿﻿entil﻿﻿s, beans, peanuts, and peas increases B vitamins in your body. These vitamins are vital to the nervous system and your overall energy. Vitamins B3 (niacin), B6 (pyridoxine) and B9 (folic acid) help in the production of neurotransmitters and precursors of them like tryptophan that helps create serotonin to increase the level of happiness. Legumes are anti-stress foods that help with anxiety and depression. Try eating a bowl of lentils in your lunch or dinner or you can add peanuts or the beans of your preference to every dish you prepare. So now you know, depression is an important disorder that can be prevented and treated with normal foods. These are 12 foods easy to find and with a delicious flavor. They are easy to mix in your meals and you will get all the benefits from them. Depression is not a game. It is a disorder in which you must always seek medical help, but eating these foods will help your fight and will lead to an equilibrium in your body. Remember that food can be your medicine if it’s eaten the right way. Do you have any other suggestion or food that could add up above list? Please don't forget to leave your comment below. Davidson et al. Effectiveness of chromium in depression, placebo- controlled trial. (2013). Biological Psychiatry. Eby et al. Understanding depression (2016). Anxiety and Depression Association of America. Major depression among adults. (2014). National Institute of Mental Health. U.S Department of Health and Human services. Young S.N. How to increase serotonin in the human brain without drugs. J. Psychiatry Neurosci. 2007;32:39﻿4–399. Previous Post How to Control Uric Acid at Home with Diet Next Post An Apple a Day Keeps the Doctor Away: Is It True?